This remarkable photo is the last thing Japan’s lost satellite, Hitomi, captured. Black holes with their ability to consume an entire galaxy, are perhaps the most feared object in the heavens due to the voracious appetite which they hold. It has now been discovered that black holes also have the ability to also feed the growth of galaxies. Black holes effectively affect and control the growth and expansion of galaxies, acting as a kind of regulator. It appears from recent discoveries that the universe has a life and death cycle for its heavenly bodies. Black holes appear to be at the center of this life cycle, a kind of grim reaper and giver of life all rapped up into one clever little package. The discovery of this process was noted by a Japanese satellite shortly before its unfortunate demise. 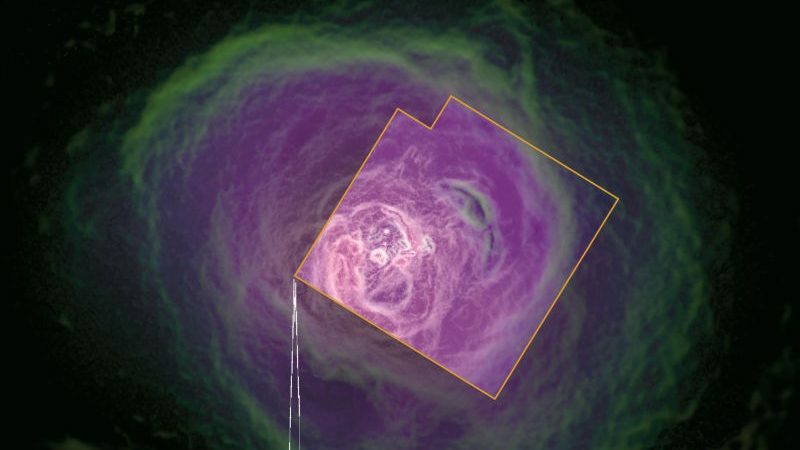 The satellite had been focused on the Perseus Cluster which has at its center a super massive black hole. 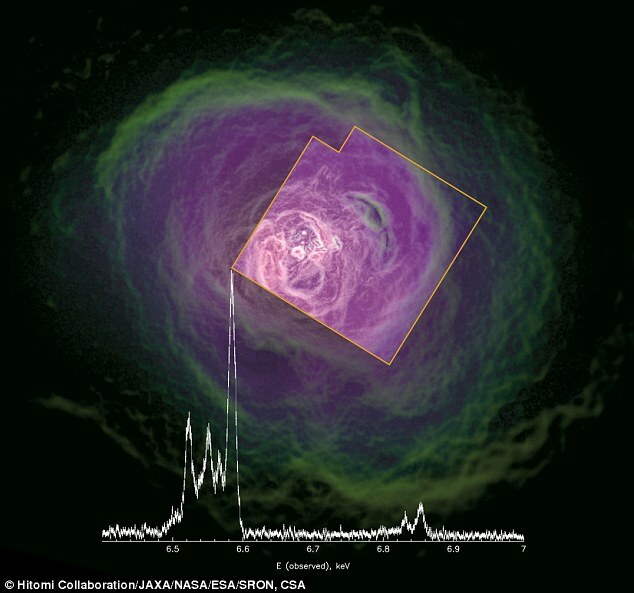 Data from the satellite demonstrated that black holes provide energy for the growth of galaxies. Remember that energy is never lost but instead changed and transformed as time moves on so it makes sense that black holes both absorb and expel energy. Energy is transformed and never destroyed, not even by black holes. Black holes are formed when a star of enormous magnitude ultimately burns out, and the core collapses into a black hole. The process of a star dying out is a kin to what happens when a nuclear reactor melts down which is both an awesome and terrifying event. Once formed, the black hole absorbs anything which winds up in its path, which includes entire galaxies. The magnitude of such destruction of mass is overwhelming and difficult for the human mind process.